Introduction: Shigellosis is a major health problem, especially in developing countries and in children under 5 years of age. The prevalence of Shigella species in a region can be considered as an indicator for hygiene level of that region. Due to the lack of an efficient vaccine, antibiotic therapy is the main strategy to combat the disease. In this study, the prevalence of the Shigella species and their antibiotic resistant pattern has been investigated. Materials and Methods: A total of 300 diarrheal stool samples were collected from 4 different hospitals in Tehran during a period of 6 months June to November 2016. Bacterial identification and species discrimination was performed using biochemical and serotyping tests. Antibiotic resistance patterns of isolates were obtained using Bauer-Kirby method. Results: 8.7% of all diarrheal cases were caused by Shigella species (5% by Shigella sonnei and 3.7% by Shigella flexneri). Antibiogram test revealed that the isolates were more sensitive or intermediate to ciprofloxacin (92.3%), while most of the isolates were resistant to tetracycline. Conclusions: The prevalence of Shigella species has changed in Tehran. Since antibiotics are the treatment of choice to combat these pathogens, also, because of the emergence of the antibiotic resistance Shigella strains, there is a need for regularly updated regional antibiotic sensitivity patterns of the pathogen to guide therapy. Cash BA, Rodo X, Emch M, Yunus M, Faruque AS, Pascual M. Cholera and shigellosis: different epidemiology but similar responses to climate variability. PLoS One. 2014;9(9):e107223. doi:10.1371/journal.pone.0107223. World Health Organization. Guidelines for the control of shigellosis, including epidemics due to Shigella dysenteriae type 1. Geneva, Switzerland: World Health Organization; 2005. Kotloff KL, Winickoff JP, Ivanoff B, et al. Global burden of Shigella infections: implications for vaccine development and implementation of control strategies. Bull World Health Organ. 1999;77(8):651-666. Buzby JC. Older adults at risk of complications from microbial foodborne illness. Food Rev. 2002;25(2):30-35. Khalil IA, Troeger C, Blacker BF, et al. Morbidity and mortality due to shigella and enterotoxigenic Escherichia coli diarrhoea: the Global Burden of Disease Study 1990-2016. Lancet Infect Dis. 2018. doi:10.1016/s1473-3099(18)30475-4. Kramer A, Kretzschmar M, Krickeberg K. Modern infectious disease epidemiology: Concepts, methods, mathematical models, and public health. Springer; 2010. doi:10.1007/978-0-387-93835-6. Kothary MH, Babu US. Infective dose of foodborne pathogens in volunteers: a review. J Food Saf. 2001;21(1):49-68. doi:10.1111/j.1745-4565.2001.tb00307.x. McCrickard LS, Crim SM, Kim S, Bowen A. Disparities in severe shigellosis among adults - Foodborne diseases active surveillance network, 2002-2014. BMC Public Health. 2018;18(1):221. doi:10.1186/s12889-018-5115-4. Sur D, Ramamurthy T, Deen J, Bhattacharya SK. Shigellosis: challenges & management issues. Indian J Med Res. 2004;120(5):454-462. Ünüvar S. Microbial Foodborne Diseases. In: Foodborne Diseases. Elsevier; 2018:1-31. doi:10.1016/B978-0-12-811444-5.00001-4. Hajizadeh A, Ebrahimi F, Amani J, Arpanaei A, Salmanian AH. Design and in silico analysis of pentavalent chimeric antigen against three enteropathogenic bacteria: enterotoxigenic E. coli, enterohemorragic E. coli and Shigella. Bioscience Biotechnology Research Communications. 2016;9(2):225-239. Kweon MN. Shigellosis: the current status of vaccine development. Curr Opin Infect Dis. 2008;21(3):313-318. doi:10.1097/ QCO.0b013e3282f88b92. Ebrahimi F, Ebadi V, Hajizadeh A, Tarverdizadeh Y, Bakhshi M. Designing a r ecombinant vaccine containing three bacterial proteins of EHEC, ETEC, and Shigella dysentery antigens in E. coli and evaluation of its humoral immunity in mic. J Mazandaran Univ Med Sci. 2018;27(157):1-16. Christopher PR, David KV, John SM, Sankarapandian V. Antibiotic therapy for Shigella dysentery. Cochrane Database Syst Rev. 2009(4):Cd006784. doi:10.1002/14651858.CD006784.pub2. Ashkenazi S, Levy I, Kazaronovski V, Samra Z. Growing antimicrobial resistance of Shigella isolates. J Antimicrob Chemother. 2003;51(2):427-429. Raghunath D. Emerging antibiotic resistance in bacteria with special reference to India. J Biosci. 2008;33(4):593-603. Saadati M, Setayesh MA, Hosseini SM, Akbari MR, Hosseini M, Tat M, Tarverdizadeh Y. “Prevalenc and antibiotic resistance pattern o shigella isolated from acute diarrheal patients in two hospitals in Kerman during 2014. Iranian Journal of Infectious Diseases and Tropical Medicine. 2015;20(70):71-76 [Persian]. Ranjbar R, Soltan-Dallal MM, Pourshafie MR, Mammina C. Antibiotic resistance among Shigella serogroups isolated in Tehran, Iran (2002-2004). J Infect Dev Ctries. 2009;3(8):647-648. Nikkah J, Mehr-Movahead A. Antibiotic resistance among Shigella species isolated in Tehran, Iran. Ann Trop Med Parasitol. 1988;82(5):481-483. Dolatshahi Z, Amini K. Survey of tetracycline resistance genes in Shigella sonnei isolated from acute pediatric with bacterial diarrhea using Multiplex PCR method and their antibiotic resistance patterns. Zanko J Med Sci. 2016;17(52):35-44. [Persian]. Plotkin SL, Plotkin SA. A short history of vaccination. Vaccines. 2004;5:1-16. doi:10.1016/B978-1-4557-0090-5.00017-3. Hajishengallis G, Tapping RI, Martin MH, et al. Toll-like receptor 2 mediates cellular activation by the B subunits of type II heat-labile enterotoxins. Infect Immun. 2005;73(3):1343-1349. doi:10.1128/ iai.73.3.1343-1349.2005. Ahmed A, Li J, Shiloach Y, Robbins JB, Szu SC. Safety and immunogenicity of Escherichia coli O157 O-specific polysaccharide conjugate vaccine in 2-5-year-old children. J Infect Dis. 2006;193(4):515-521. doi:10.1086/499821. Rahbar M, Deldari M, Hajia M. Changing prevalence and antibiotic susceptibility patterns of different Shigella species in Tehran, Iran. Internet J Microbiol. 2007;3(2). doi:10.5580/1761. Talebreza A, Memariani M, Memariani H, Shirazi MH, Eghbali Shamsabad P, Bakhtiari M. Prevalence and antibiotic susceptibility of Shigella species isolated from pediatric patients in Tehran. Arch Pediatr Infect Dis. 2016;4(1):e32395. doi:10.5812/ pedinfect.32395. Jafari F, Hamidian M, Rezadehbashi M, et al. Prevalence and antimicrobial resistance of diarrheagenic Escherichia coli and Shigella species associated with acute diarrhea in Tehran, Iran. Can J Infect Dis Med Microbiol. 2009;20(3):e56-62. Tajbakhsh M, Garcia Migura L, Rahbar M, et al. Antimicrobial-resistant Shigella infections from Iran: an overlooked problem? J Antimicrob Chemother. 2012;67(5):1128-1133. doi:10.1093/jac/ dks023. Ranjbar R, Soltan Dallal MM, Talebi M, Pourshafie MR. Increased isolation and characterization of Shigella sonnei obtained from hospitalized children in Tehran, Iran. J Health Popul Nutr. 2008;26(4):426-430. Eftekhari N, Bakhshi B, Pourshafie MR, et al. Genetic diversity of Shigella spp. and their integron content. Foodborne Pathog Dis. 2013;10(3):237-242. doi:10.1089/fpd.2012.1250. Farshad S, Sheikhi R, Japoni A, Basiri E, Alborzi A. Characterization of Shigella strains in Iran by plasmid profile analysis and PCR amplification of ipa genes. J Clin Microbiol. 2006;44(8):2879- 2883. doi:10.1128/jcm.00310-06. Pourakbari B, Mamishi S, Mashoori N, et al. Frequency and antimicrobial susceptibility of Shigella species isolated in Children Medical Center Hospital, Tehran, Iran, 2001-2006. Braz J Infect Dis. 2010;14(2):153-157. MoezArdalan K, Zali MR, Dallal MM, Hemami MR, Salmanzadeh- Ahrabi S. Prevalence and pattern of antimicrobial resistance of Shigella species among patients with acute diarrhoea in Karaj, Tehran, Iran. J Health Popul Nutr. 2003;21(2):96-102. Hosseinpour SS, Rahbani NM, Nikwash D. Antimicrobial resistance trends in Shigella species among patients with acute diarrhea. 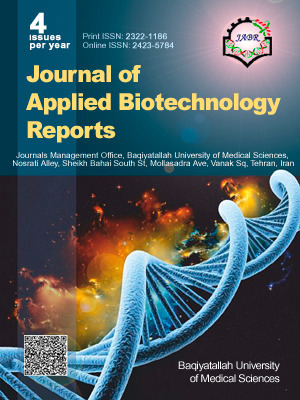 Medical Journal of Tabriz University of Medical Sciences. 2007;28(4):45-48. [Persian]. Mahyar A, Ayazi P, Kheirabi K, Sadeghi S, Daneshi-Khohan M, Javadi A. Antimicrobial resistance pattern of Shigella species isolated in children with shigellosis. Pediatr Res. 2011;70:467- 467. Pazhani GP, Niyogi SK, Singh AK, et al. Molecular characterization of multidrug-resistant Shigella species isolated from epidemic and endemic cases of shigellosis in India. J Med Microbiol. 2008;57(Pt 7):856-863. doi:10.1099/jmm.0.2008/000521-0. Rahman M, Shoma S, Rashid H, et al. Increasing spectrum in antimicrobial resistance of Shigella isolates in Bangladesh: resistance to azithromycin and ceftriaxone and decreased susceptibility to ciprofloxacin. J Health Popul Nutr. 2007;25(2):158-167. Opintan J, Newman MJ. Distribution of serogroups and serotypes of multiple drug resistant Shigella isolates. Ghana Med J. 2007;41(1):8-29. Alici O, Acikgoz ZC, Gamberzade S, Gocer S, Karahocagil MK. [Antibiotic resistance rates of Shigella species isolated from stool cultures in the years 1999-2003]. Mikrobiyol Bul. 2006;40(1-2):9- 14. Gu B, Cao Y, Pan S, et al. Comparison of the prevalence and changing resistance to nalidixic acid and ciprofloxacin of Shigella between Europe-America and Asia-Africa from 1998 to 2009. Int J Antimicrob Agents. 2012;40(1):9-17. doi:10.1016/j. ijantimicag.2012.02.005. Fulla N, Prado V, Duran C, Lagos R, Levine MM. Surveillance for antimicrobial resistance profiles among Shigella species isolated from a semirural community in the northern administrative area of Santiago, Chile. Am J Trop Med Hyg. 2005;72(6):851-854. Dutta S, Kawamura Y, Ezaki T, Nair GB, Iida K, Yoshida S. Alteration in the GyrA subunit of DNA gyrase and the ParC subunit of topoisomerase IV in Quinolone-resistant Shigella dysenteriae serotype 1 clinical isolates from Kolkata, India. Antimicrob Agents Chemother. 2005;49(4):1660-1661. doi:10.1128/aac.49.4.1660- 1661.2005.